It's hard to imagine a future now with the release of Amazon's new Echo Dot that isn't in some way voice-controlled. 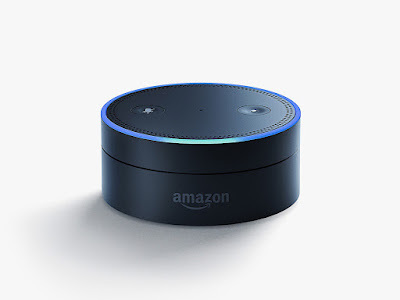 The Echo Dot can turn on your house lights, close the garage, start the oven, cue the music, and yes faithful readers of this blog...trade stocks! Click on the picture above or the hyperlinked text to read the reviews on this device. Simply amazing. Undoubtedly on the Christmas list for many!